Vikingane is a Norwegian 30 minute scripted comedy television series, which kicked off on October 21, 2016, on NRK1 and is broadcast every Tuesday at . The show is currently in its 2nd season. 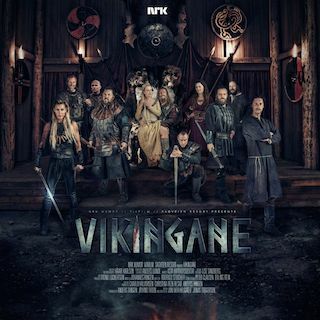 NRK1 is yet to announce the renewal of Vikingane for Season 3 as well as its cancelation. Sign up to track down the show's status and its release date. Set in 790AD, Vikingane features the daily challenges of people living in a small Viking village, from power struggle, brother rivalry, gender equality, to betrayal and friendship. "It's the story of people from our time, but living during the Viking era. Of course everyday choices have far more dramatic consequences and that makes for great comedy material.